In our household Pride isn’t something that’s only talked about and celebrated once a year. In fact, our teenage daughter has a few very close friends who are a part of the LGBTQ community. Whenever one of her friends shows up at our house she always embraces me with a huge hug and says, “I’m here, and I’m Queer!” I can feel the comfort in her tone when she walks into our home. I always smile when she says this to me and I hope she has a big smile because she can walk into our home knowing there’s no judgment. Needless to say, we are very open in our home and have had discussions with our girls about what LGBTQ is. In simplest terms, to describe this to our youngest daughter Charley, we explained it like this; ” when a man loves a man, or a woman loves a woman.” I think when she’s a bit older we will go into further detail. For now, she is very open to talking about gay and lesbian people and I’ve noticed odd facial expressions on the face of friends and family members when she brings up this topic. The thing is, it’s very normal for her to bring up because she has an older sister with friends from the LGBTQ community. Although this may not be a topic brought up in some of the homes of family and friends, I’m proud of how normalized it has become in our household. I want my girls to grow up supporting equal rights, diversity, and acceptance. I want them to have no judgments based on how people choose to identify themselves. Most of all, I want them to know that whatever they identify with, will be accepted by us. 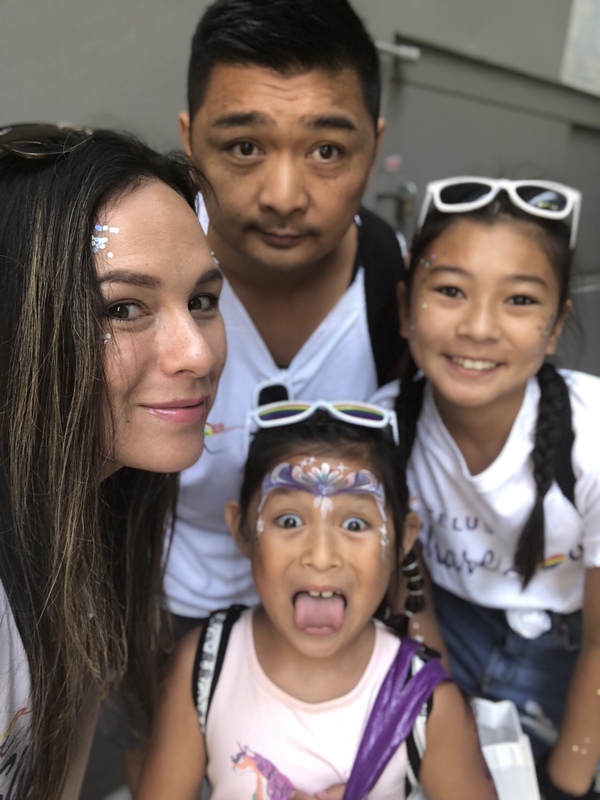 This Summer we’ve been super busy making some fun memories, but the best day in the books for me was marching in the Pride Vancouver Parade with my family and TELUS. 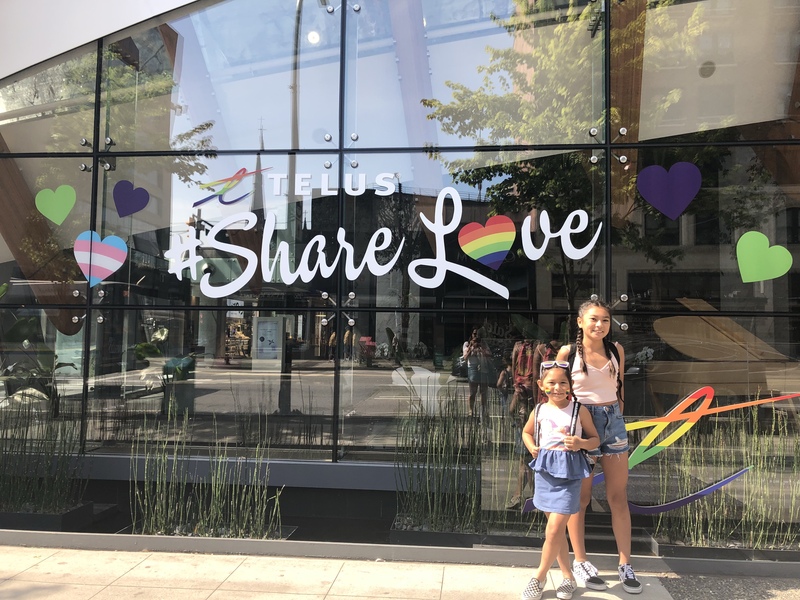 I love being a Team TELUS advocate and I’m so proud to be a part of this program because of the commitment TELUS brings to celebrate the diversity of their team members, customers, and community. 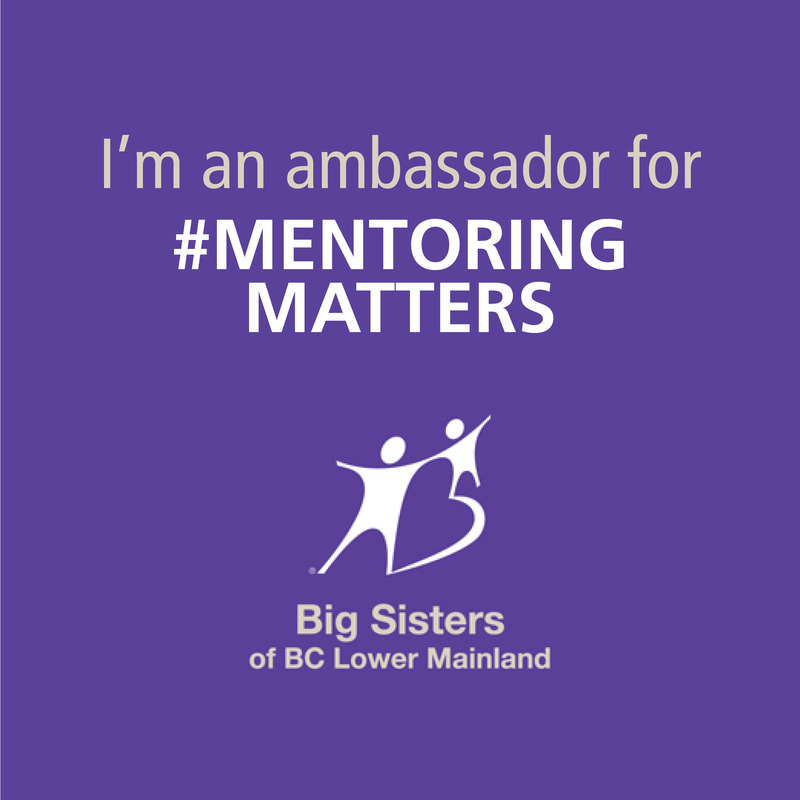 With the help of thousands of volunteers supporting diversity and inclusiveness across the country, TELUS has been recognized as one of Canada’s Best Diversity Employers by Mediacorp for 10 years in a row and they have been shortlisted for the Canadian Centre for Diversity and Inclusion’s Employee Resource Group of the Year award for 2018. 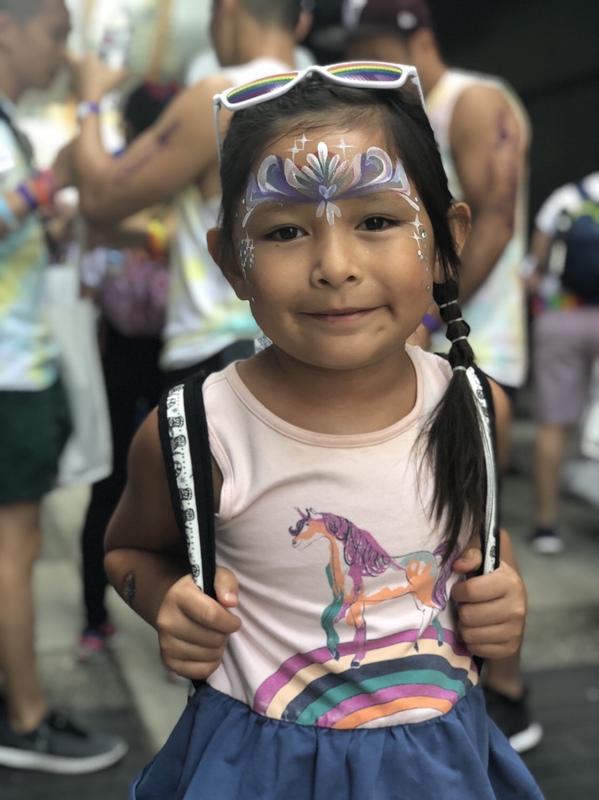 TELUS believes that in order to deliver amazing service to their customers, they need to represent the true make-up of their communities – in terms of gender identity, sexual orientation, race, culture, and thought. All in all, it was an experience we will always feel so grateful to have been a part of. *Thank you TELUS for allowing us to take part in your #sharelove initiative.